(17/P17) TRENTON – With much of New Jersey expected to see significant snowfall during a nor’easter that begins tonight, the Department of Environmental Protection is reminding local and county governments to plan now for removal of large amounts of snowfall in the best interests of community and environmental safety. In preparation for the storm, which is expected to run through Tuesday evening, local governments should identify snow disposal sites in upland areas that are as far as possible from waterways and wetlands to protect these environmentally sensitive areas from road salt and other potential contaminants that may result from snowfall. 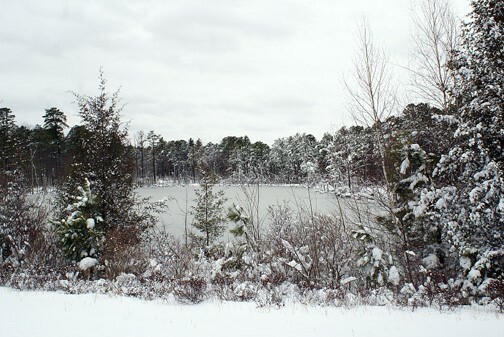 If appropriate options are unavailable either due to the anticipated snow volume or public safety concerns, DEP will consider allowing snow disposal in certain larger water bodies either in emergency situations or on a case-by-case basis. Those exceptions must be first approved by DEP. Snow disposal into waterways without prior authorization is not permissible because there may be unknown contaminants in the snow that could pollute the waterway where it is disposed. All municipalities and counties have been notified of this snow disposal option for emergency storm events, and can call the DEP hotline at 1-877-WARNDEP (1-877-927-6337) to request authorization to place snow into surface waters. This option is not available to private businesses or residents. DEP will consider a number of factors for disposing of snow in larger waterways: waterbody size; waterbody flow; presence of environmentally sensitive areas; resulting amount of floating ice or snow; potential impact on downstream dams; potential impact on channels being blocked. Excess snow cannot be disposed of in wetlands, small streams, waterways containing shellfish beds, or drinking water reservoirs. Clearing storm drains, and checking or clearing of nets in combined sewer outfalls that trap trash and other floatables in order to facilitate proper drainage of melting snow, are also important storm preparations, Assistant Commissioner Kennedy noted.